Developing and managing to a budget is a cornerstone of maximizing your business’ performance. The positive impact of a budget begins even before the first numbers are put down on paper, as management begins the process by discussing the goals and vision for the company, and aligns on what the strategies are to achieve them. This provides the all-important link between strategy and financial / operational goals, helping to set the company up for success. As a CEO once said to me: “The benefit of planning is alignment, the benefit of alignment is speed.” If the team understands the path forward, execution can be more effective. Step 2: Refine Your Strategies. The next step is to more fully develop the strategies (e.g., growth initiatives, projects to reduce costs, etc.) which you discussed at the planning meeting. Assumptions will have to be vetted, with revenues, costs, and investments reviewed, since these will become the building blocks of your budget. Each strategy should also include key milestones and deadlines so that progress can be tracked. Sometimes strategies will have to be modified, depending on the outcome of this review. From this point on in the budget cycle, Finance usually takes over and will work with functional leaders at your company to complete this work. Broad leadership involvement in strategy refinement is key: Not only are you making the best use of your leaders’ talents and experience, but you are also creating their buy-in and ownership into what needs to be accomplished during the next year and beyond. Step 4: Give Your Expenses a Good Scrubbing. This stage of the budget process gives your team an important opportunity to take a hard look at expenses in the business. Expense targets should reflect continuous improvement. How you approach this is a matter of philosophy. At a minimum, expenses (outside of specific targeted and tracked investments) should be expected to leverage if revenues are growing. 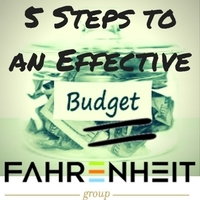 The most disciplined approach is known as “zero-based budgeting” where every department has to start from scratch to justify each line item in their budget, with no expenses allowed to automatically carry over from the prior year without review. An efficient middle-ground approach often used is to set somewhat challenging expense targets which department leaders can hit using their discretion. But the department budgets must show explicitly how the expense targets will be hit. Another matter of philosophy is the level of conservatism in the budget. As the numbers are being finalized (including expense reductions identified), it is a good practice to keep some level of budget reserve available for contingency, or to fund additional investments, etc.